Doolin Cave & Visitor Centre – Experience the Great Stalactite! 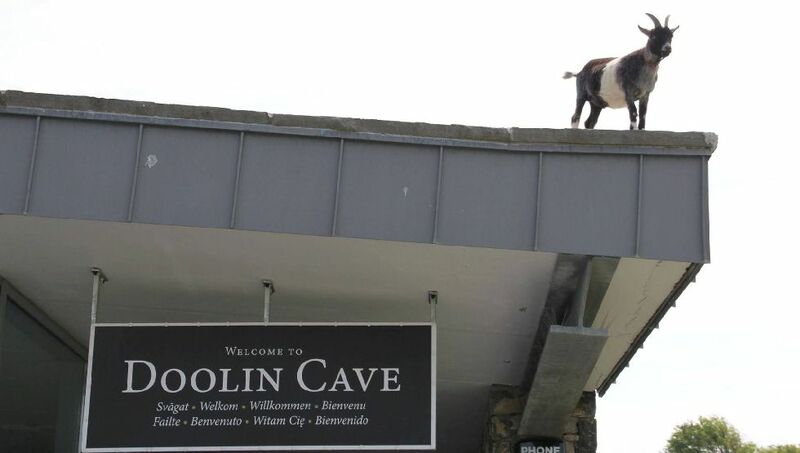 Visit a world-class Wonder of Nature, the award-winning Doolin Cave and Visitor Centre, located 4 kilometres from the centre of Doolin village, in the heart of the Burren, County Clare. 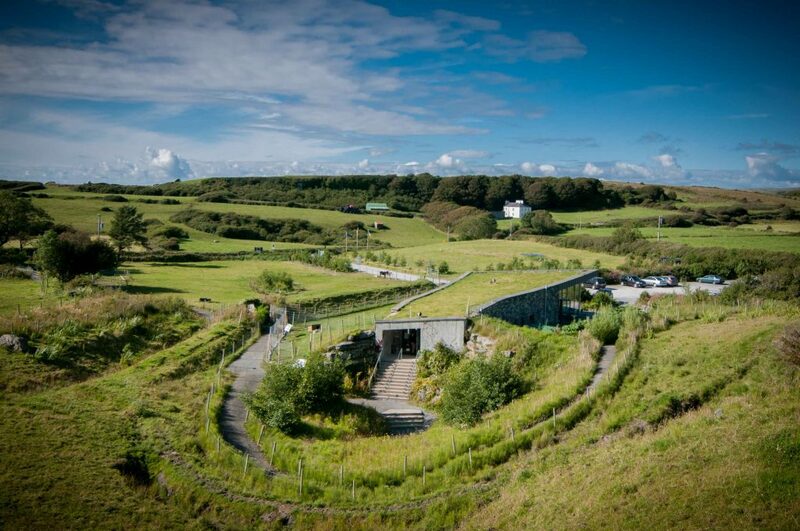 Step back in time with a guided tour of Doolin Cave. Descend over 70 feet underground, 127 steps, down a metal staircase to follow in the footsteps of the great explorers Brian Varley and JM Dickenson. Once you have reached the bottom of this staircase you will be given a hard hat and told the story of Varley and Dickensons discovery. 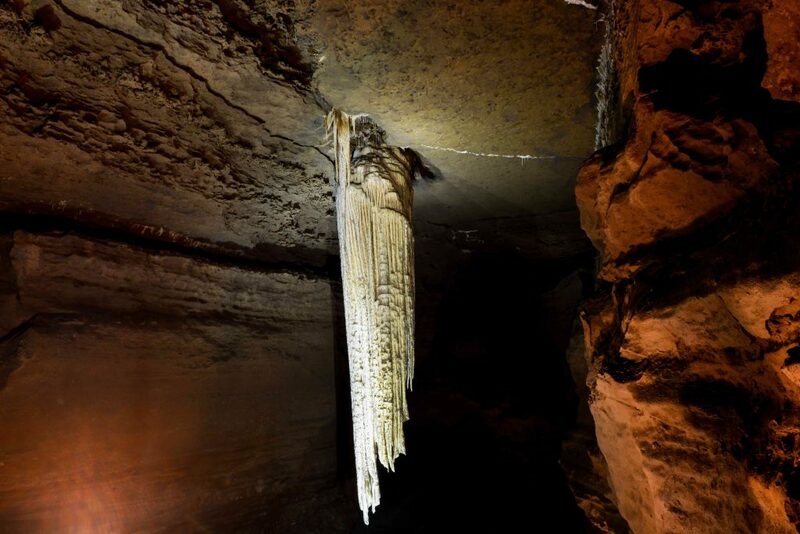 Your guide will also point out the opening in the cave through which the two men first crawled, making their way to the chamber that houses the Great Stalactite. 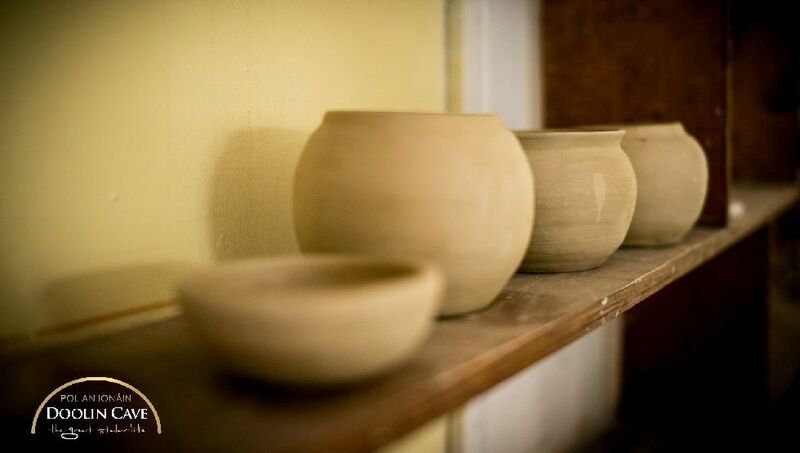 Along the way, your guide will describe the development of the cave and the unique method of tunnelling used during the excavation, evidence of which still remains on the tunnel roof. Your guide will also point out some of the formations that are evident along the way before bringing the tour to a stop just outside the main chamber. You will then be brought into the main chamber in complete darkness, re-enacting the environment faced by Varley and Dickenson in 1952. Your guide will then switch on the cave lighting to reveal the Great Stalactite, and take you to another viewing platform located at the base of the main chamber, giving you a 360 degree view of the formation. From here the tour moves onto a second cave chamber and you will get the opportunity to walk through an area that was once a seafloor, where the fossilised remains of sea creatures are clearly evident. 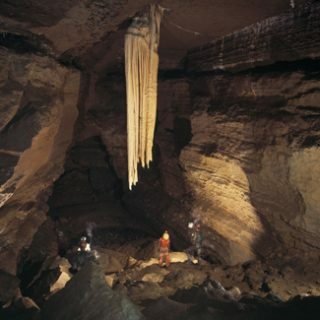 Also within this chamber straw stalactites, pillars, bell jars and helicite formations are pointed out by your guide. The tour ends beside a river that flows through this chamber, disappears underground, reappearing just before it flows out on the Wild Atlantic Way. 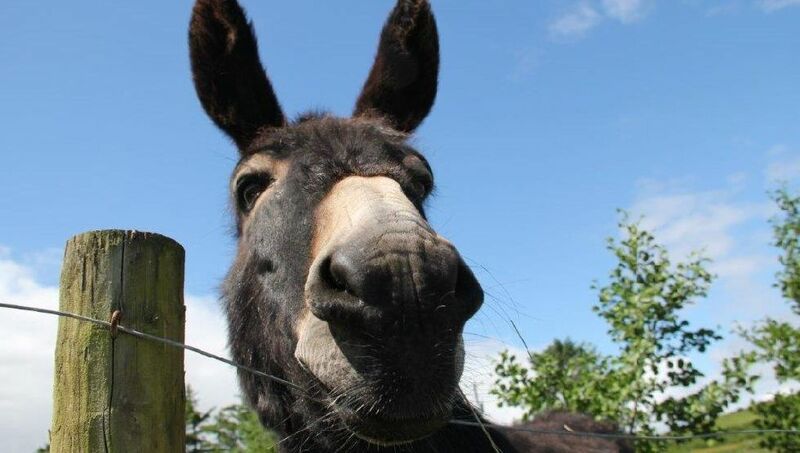 A farmyard nature trail surrounds the visitor centre at Doolin Cave and this one kilometre looped walk is home to many indigenous flora and fauna. 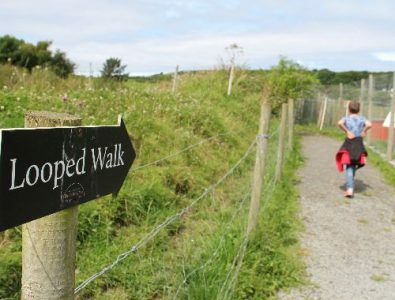 Visitors who take the trail can avail of a bird’s eye view of Ballinalackin Castle and the surrounding countryside. 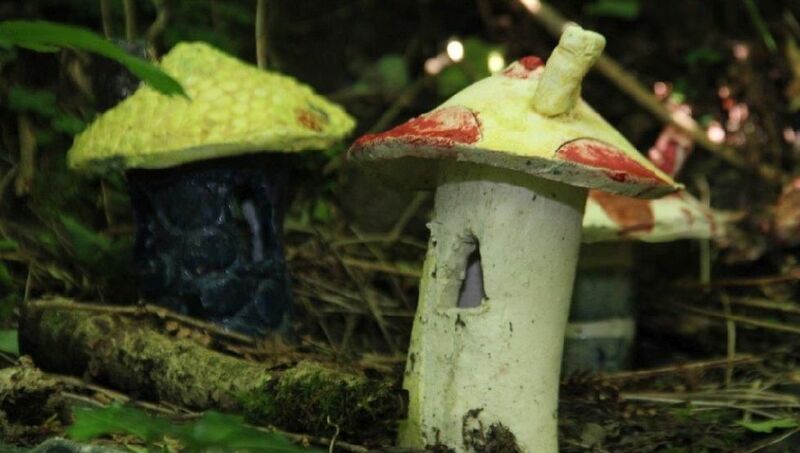 The trail ends at the original entrance to Doolin Cave where visitors will also find a fairy village constructed by local school children. 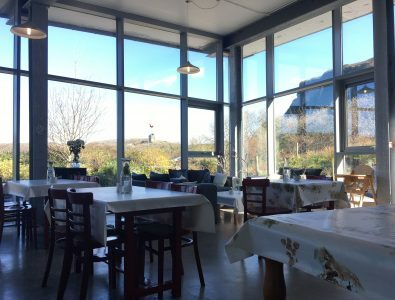 The Café at Doolin Cave prides itself on its use of locally sourced ingredients to produce delicious home baked goods, the perfect pit stop for some coffee and cake after your cave adventure.